While Kangana Ranaut might be receiving rave reviews and adding to her fan base, her Tanu Weds Manu Returns (TWMR) co-star, R Madhavan, has not been as fortunate. Critics have remarked at his girth and lacklustre performance in the film. 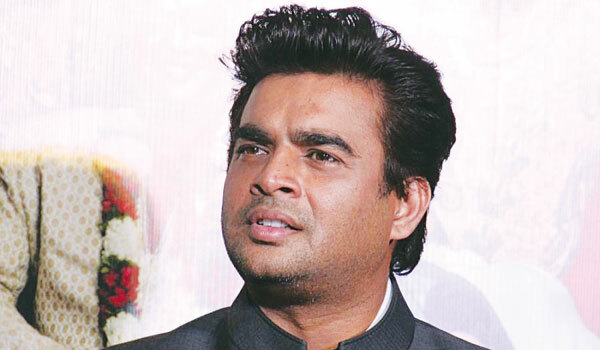 Madhavan has claimed that the extra kilos are a result of his bulking up for a bilingual sports drama, Saala Khadoos, in which he plays a retired boxer. Maddy was given just two weeks to slim down a��a monumental challenge which explains his form and yet adds resonance to the dialogue where Tanu likens his shape to that of a piece of ginger. Speaking about his role as Manu, a 40-year-old whose marriage is on the skids in TWMR, Madhavan recently said that his 45 years of life experience and 15 years of experience as a husband helped him portray the character. a�?As a guy, you have to know when to shut up,a�? he said. Kangana Ranaut continues her firm and forceful march up the Bollywood ladder as her latest release, Tanu Weds Manu Returns, is enjoying a good opening at the box office. The film is indeed populated with a great many solid performances but Ranaut (in a double role) nails the part of the young Haryanvi athlete, Kusum, making you love her instantly. A number of news stories had reported that she would be playing Dalbir, Sarabjit Singha��s sister in a biopic about the lattera��s dramatic life. Sarabjit was arrested on suspicions of espionage and incarcerated in a Pakistani prison. Dalbir fought a long battle to try and get her brother freed. But when the writers and producers took a decision to replace the director, Ranaut was quick to respond that she too would no longer be a part of the project and that her commit-ment was to the director, Hansal Mehta, and not to the film. Ita��s principled and outspoken acts like this that earn Ranaut well-wishers and respect in the industry. She will be seen opposite Imran Khan in Katti Batti next. Two Hindi movies releasing this week have international imports. Gottlieb stars with Arshad Warsi and Jackky Bhagnani in Welcome to Karachi. Directed by Ashish R Mohan, Welcome to Karachi is being touted as a comedy about two adventurers who find themselves in Karachi. Gottlieb achieved recognition in a TV show called So You Think You Can Dance and then in ABCD: Any Body Can Dance and also appears in the sequel, Any Body Can Dance 2. Her acting skills have hardly been put to the test yet. In Ishqedarriyaan, another movie opening today, Evelyn Sharma, who was last seen in Kuch Kuch Locha Hai, appears opposite Mahaakshay in a movie produced by his dad, Mithun Chakraborty. Neither Mahaakshay nor Sharma are highly rated actors, so dona��t place any A�bets on how sizzling their chemistry in this A�romance is likely to be. One can see what Sunny A�Leone brings to the canvas, but theseA�two ladies have a lotto prove in Bollywood. The multi-hyphenated Karan Johara��he who wears multiple hatsa��celebrated is 43rd birthday earlier this week. When asked how he would rank his numerous roles, he picks director first followed by producer and then talk show host. Actor and reality show judge come next with writer bringing up the rear. a�?Writing is the most lonely and torturous process. I would prefer people writing perfect screenplays and giving them to me. Ita��s so difficult,a�? he said.